Surgery preliminary residency programs generally offer just one to two years of training for students. This training is received prior to entry into advanced programs of surgery specialty work. Please note too that it is not uncommon for surgery training programs to offer a preliminary position. Programs that are transitional year programs are also considered preliminary year training programs. Preliminary programs might fall under the categories of non-designated or designated. The non-designated programs are often for new residents only. If you are not a new resident and are interested in the designated program type, it will be in your best interest to check with the preliminary surgery residency director for your particular program. 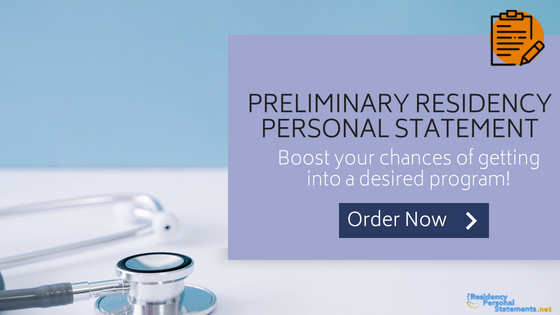 Experts of our best residency personal statement writing services strive to make preliminary surgery residency application process easier for you! Those who complete preliminary surgery residency will benefit from a wide variety of surgical experience as programs generally give you one year of surgery training before going into the military, or career or health interest. Particular specialty interests can often be selected for those who wish to do so. Certain other benefits may also be derived, depending on the institution. It is not uncommon for those enrolled in preliminary surgery residency to benefit from creating solid and professional relationships with other pre-residency members. Employment assistance sometimes takes place for those enrolled and pre-designated stipends are also of consideration. Those students enrolled in preliminary surgery residency who are parents may also find child care assistance on or off of the premises. Special programs for all members of the family are also often a common benefit of preliminary surgery residency. Services and Support Groups may also be readily available. Institutions want to do all they can to ensure students are engaged in their studies, but also relaxed and happy outside of them, all a part of a healthy balance. Make no mistake about it, when a program is highly competitive the preliminary residency will be competitive too. There are some things you can do to ensure you are better prepared. Research is very important. Know exactly what it is you need when those items are due, and what the answers are too common questions you might be asked to answer in an interview. You also want to make sure to brush up on your professionalism. Practice your interviewing techniques, answer practice questions, and research answers for questions you feel might come up. Statistically speaking, the number of those seeking to participate is on the rise, so the number of students matched to their preferred preliminary residency is definitely becoming more competitive. Of course, the rates vary as do the specialties because some specialties are far more popular than others. Those specialties that are considered ‘more competitive’ have a match rate of < 90%; those considered to have ‘intermediate competitiveness’ have a match rate of 92-93%; and those considered to be ‘less competitive’ have a match rate of 95%. The main thing to keep in mind when writing your residency personal statement is to focus on key events in your life that show that you have a passionate connection to the field or area of medicine that you are interested in. You want to show admissions board members that you are entering this field because you have a firm commitment to advancing the field, not because it was the first major that showed up on the list. Prove that you are passionate about this field and wish to seek further knowledge outside of school. Participating in surgery fellowship program is highly important for your future career. Thus, according to our writers from residency personal statements writing service, you are to pay needed attention to prepare an effective surgery fellowship personal statement which will catch the attention of the admission officials. Our service will help you create a paper which will distinguish you from other candidates. Here are some useful tips from our team. According to our expert writers, there are no strict rules of structuring your surgery fellowship personal statement; it is completely up to you. However, there may be some special requirements concerning word limit and formatting which you should adhere to. Your reasons for becoming a surgeon. What life experiences made you convinced of your choice. Special characteristics and experiences which make you a good candidate. Your reasons for choosing this particular surgeon fellowship program. Your future goals and how this surgeon fellowship program will help you succeed. Contributions you would be able to make. Make sure to elaborate in detail on each of the above-stated points. Our writers from Residency Personal Statements writing service advise you, however, not to make your paper too lengthy and sophisticated – it will make a negative impression on the admission authorities. Keep your surgeon fellowship personal statement brisk and meaningful, do your best to show your serious attitude to the professional path you have chosen; there is no place for insecurity in the professional life of a surgeon. Surgery Preliminary Residency is a big deal. Gaining entrance is competitive, so you want to ensure you are giving it your all when you are applying. One way to do that is to hire professional help when it comes to writing a residency personal statement or a pre residency fellowship neurosurgery. Our team of professional writers is well-versed in all it takes to make a quality document stand out and be noticed for the pre-residency application process. When you hire us to assist you in the process, you can know from our previous track record, highly touted recommendations, and years of experience that you are getting a team that not only cares, but one that also knows exactly what they are doing. Don’t leave one of the most important decisions of your life to chance, partner with us to get the job done right. Understanding that acceptance is not guaranteed is a great motivator for getting you to seek professional writing assistance. Finding writers who understand the process of creating preliminary medicine residency documents, and who have a vast and lengthy experience in doing so just makes good sense. You want to create and submit preliminary residency documents that will allow your work to shine amongst the competition of others who have submitted at the same time. Our highly recommended team of writers are knowledgeable, professional, and understand how to get your documents noticed. Take the time out to correspond with us today, and let us tell you how we can help you get noticeable gain with your pre residency fellowship neurosurgery and preliminary surgery residency documents. Don’t hesitate! The time to move is now. Our professional writers are knowledgeable about all aspects of residency and are ready now to help you with your surgery preliminary residency documents.